Clever stuff from South African agency Metropolitan Republic, for fast-food chain Wimpy. I love seeing little ideas like this that can make such a big difference. 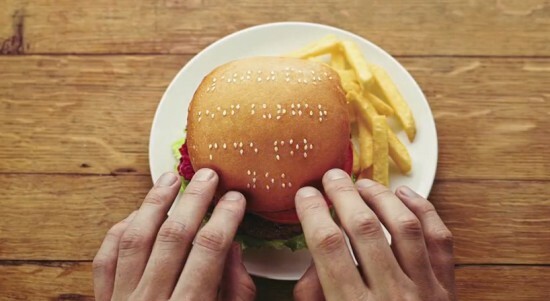 Wimpy Braille Burgers from wes on Vimeo.